If you're getting ready for cross country season, here are some ideas on what you could or should have in your kit bag for autumn and winter training and for race day as well. It is obviously beneficial to stay upright! Spikes or studs are the best way to do this. 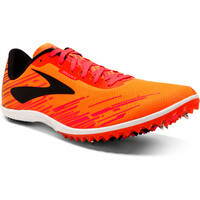 There are specialist cross country running shoes with a slightly more flexible spike plate than you'll find on a track spike, with shallow studs to compliment the spikes. 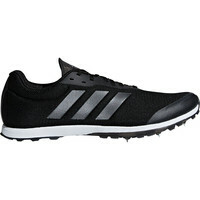 The flexibility underfoot will feel more comfortable on the uneven ground of cross country courses. 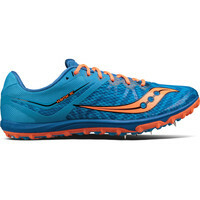 The Brooks Mach series or Adidas XCS, along with the Saucony Havok and New Balance XC700 v5 are all good options due to the fit of the uppers. In keeping with most spikes, new manufacturing processes allow them to be made with almost seamless uppers, making for a very comfortable fit. 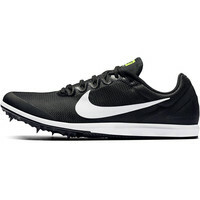 All round track spikes like the Nike Zoom Rival D or Adidas Allroundstar (which is also available in a Junior version), are fine for cross country, and great as a first pair of spikes, or for occasional spike users. 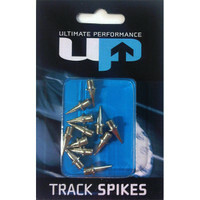 They can be used for track training as well, just make sure to screw longer spikes in for cross-country (9mm or 12mm). The firmer spike plate of track spikes can be an issue if short sections of hard packed or stony trail are used. Fell running studs are also popular for those courses where there may be sections of harder trail to negotiate, or as a more versatile option that can double up as a shoe one can use on the hills and trails in training too. 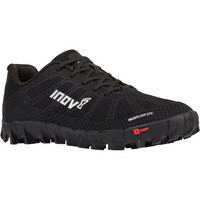 In these cases, the the NEW Inov-8 X-Talon 230 is perfect, like a racing flat with studs: light, deep stud grip, and very flexible. 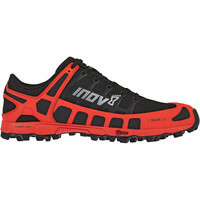 The Inov-8 Mudclaw 300 Classic offers a light but slightly more robust alternative. These are both unisex options. 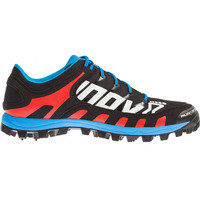 If you have a wide foot try the Inov-8 Mudclaw 275 which comes in a wide fit. 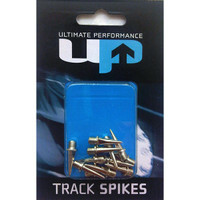 If you are not sure how muddy the course is going to be or if you are using your spikes for track training in the week (with short spikes) you will need a spare set of loose spikes and a spanner to effect a quick change. 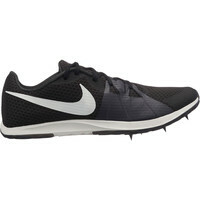 Spikes and a spanner are always provided with the shoes, but the spikes may not be long enough for all race conditions. Generally you'll want 9mm for firm/dry ground, 12mm for your average British weather conditions, and 15mm for mud-bath conditions. After a muddy race, do try and get the worst of the mud off your spikes as soon as you can, they will last longer that way. Giving the spikes a little loosen with a turn or two of your spike wrench will also help prevent mud drying in the spike threads, rusting, and making it harder to change the spikes. Always pay attention when screwing in the spikes; cross thread them and they're ruined! It is generally acknowledged you lose a lot of body heat through the top of your head, so a thin lightweight running hat or headband are good for those cold training evenings and at races. 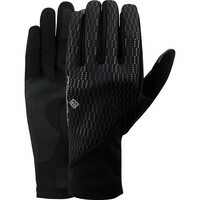 Paired with light running gloves you'll probably find it possible to race in shorts and t-shirt when it's not too cold. Although some runners, almost as a matter of pride, try to run in vest and shorts all winter, most value a good thermal or wicking base layer with climate control qualities. You may ask why you need your own climate ‘controlled’. 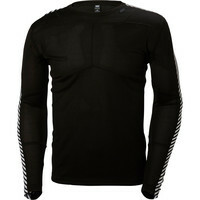 Well, a good baselayer will keep body heat in, but wick sweat to the surface to evaporate, so you don't feel hot and clammy. 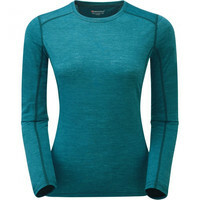 A good racing choice under a vest is a crew neck, with sleeves that can push up easily if you do get a little warm. The classic Helly Hansen is perfect layered under your club vest, as it offers a good balance of fantastic wicking as well as warmth. 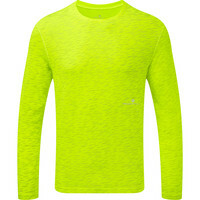 If you get warm once you start running and just want to keep ‘the chill’ off then the Ronhill Momentum Long Sleeved Tee offers good breathability without being too warm, plus the Afterlight version is amazingly visible for dark training nights. 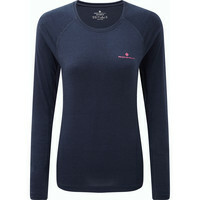 If you feel the cold and are happier in a warmer thermal top Montane’s Primino fabric is an excellent blend of merino and primaloft fabrics. It is important to keep energy levels up to perform well. 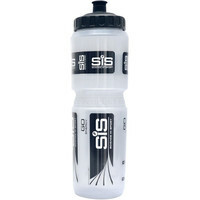 So, mix your isotonic drink (like SIS Go) and pack an energy bar for pre race, or protein bar for post race, or both! 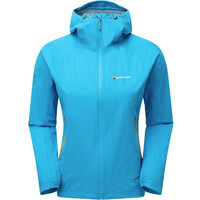 Judging by recent weather, a wind/rain running jacket is pretty much essential for anyone doing sports outside! 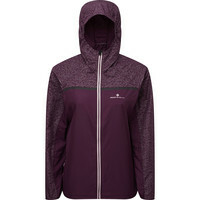 Even if the weather is going to be dry, a windproof jacket like the Ronhill Everyday jackets are great to keep you warm whilst waiting for your race, plus it will fold up nice and small in your kit bag. 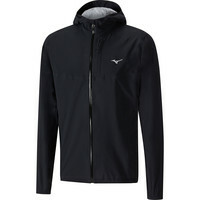 There are also more expensive fully waterproof options like the Montane Minimus Stretch Ultra Jackets, or the best value waterproof in the Mizuno 20K jacket. 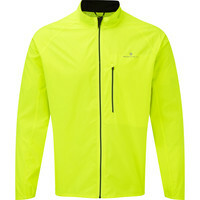 If you do a lot of nighttime running and would like drivers to see you out on the road then check out Ronhill’s new Afterlight jacket. It's got a super reflective print and also comes in a non bright fluoro colour so you can wear it a lot easier in the day time! 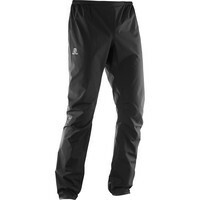 To keep the wind and rain off your legs when you’re not racing there’s the fully waterproof options from Salomon and Montane. 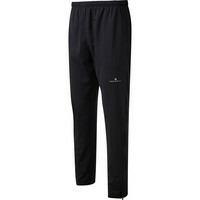 For price the Ronhill Everyday Training pant is a great wind pant! It won’t keep you dry in a downpour but as a layer over your tights it works well and also has leg zips to make it easier to get on and off in shoes/spikes. 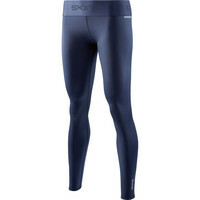 You too can be like the stars of the track and cross country with compression clothing to make you look serious! The compression support they provide has been proven to help reduce wear and tear on muscles, and aid recovery from hard training and racing. 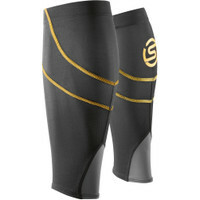 The SKINS half tights are great for helping the muscles of the hamstrings, glutes and quads. 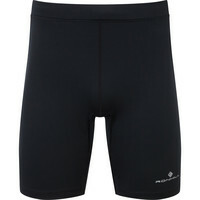 The men's or women’s full tights also give help to the calf muscles. 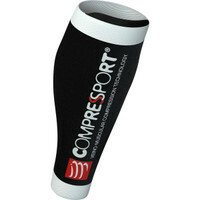 The Compressport Race and Recovery Calf Guards offer the best calf compression and the material is very comfortable. 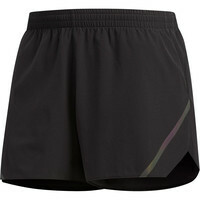 Yes you will need a pair of running shorts, either club issue or at least to vaguely match your club vest. 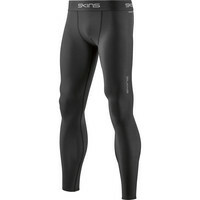 And a pair of lycra tights to keep your muscles warm as you warm up and cool down. If you have faced the utter futility of trying to wash mud out of a white pair of socks after a muddy race go for a dark colour. Thickness of sock is the other choice to consider and opinions vary! Some choose a thin sock as it holds less moisture and is lighter so feels more 'competitive', others prefer a thicker padded sock either for comfort or warmth. 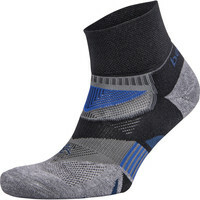 For the thicker options try a wool mix sock such as Hilly Off Road which will keep your feet warmer in wet mud. Or for a thinner choice the simple Hilly Lite Anklet has been a long time best seller! In between popular choices are the Feetures and Belega – both available In black. Thanks for your note. Much will depend how extreme or technical the ground is. If the ground is going to be very muddy and/or rocky, you may need a fell shoe or dedicated trail shoe, which has better grip and is a lower profile with less cushioning than your road shoes. Also you need to bear in mind, is this event a one-off opportunity, or do you plan to do more trail and cross country events or training runs? As well as still running on the roads? Then it depends whether you want to try and get one shoe that will deal with most of the different terrain you run on, or whether you will indeed need to have two different shoes. If you are able to get in to one of our shops, the staff will be able to talk you through the benefits of different shoes. 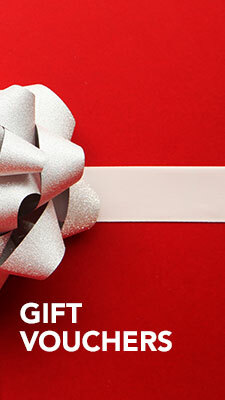 Otherwise, do mail any of the stores with any supplemental questions if you need to order online. Thanks for posting and for reading, glad it helped. Good luck with your training. Than you for this. I was very glad when you said that half length skins are good to wear, because that is what I am going to start wearing. Would drinking Pump before my race effect my performance, in either good or bad ways? I'm glad you found the article useful. I'm not familiar with the drink you mentioned so couldn't comment specifically on how that particular drink might affect your performance. In general you want to look for a sports drink with long chain carbohydrates for sustained energy and perhaps some electrolytes. 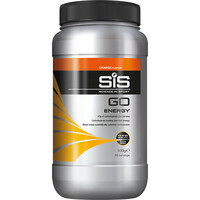 The best thing is to try the drink before a hard training session first to see how it works for you . Thanks for your comments and questions. Few aspects to this. It seems obvious your daughter would benefit from some good ankle support. You don't say if your daughter has run cross country before, or is just used to running on the road. 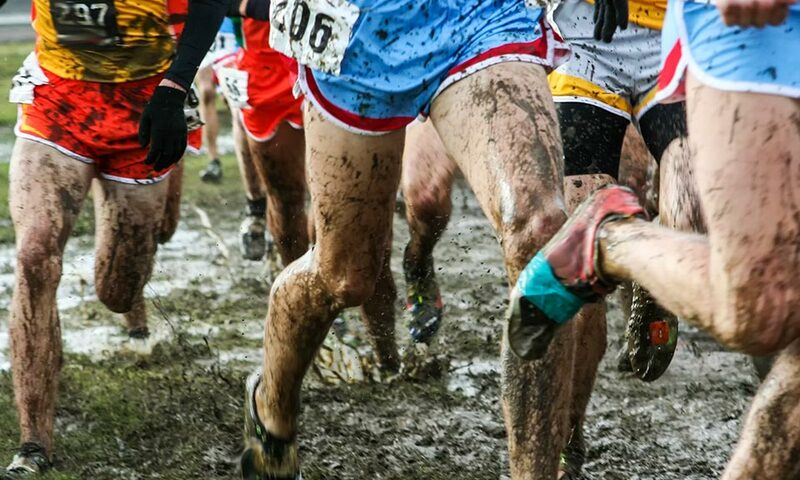 The softer ground for cross country is a lot more forgiving than tarmac, and if the course is not too extreme, which is unlikely in her age group, the softer ground will be gentler on the feet and ankles. 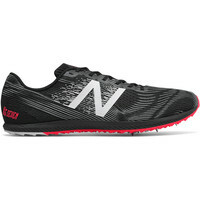 Spikes for competition are indeed lighter made than trail or road shoes, and are very popular for X-C, but that lightness comes with some compromises in strength of the shoe, especially in the ankle support. A trail/fell shoe with a deep enough stud will handle most X-C courses well and, as you rightly suggest, does indeed offer more support at the heel/ankle area. You don't say what size your daughter is but the junior trail / fell shoes like the Adidas Kanadia and the Walsh PB Trainer would be suitable and are all available from size 1 to size 5.5UK. 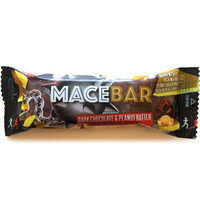 If you are not able to get in store to try, they can be ordered online. Please bear in mind that spikes and studs come up a bit small and you should usually order a half to full size larger than normal. If traveling from a distance, it is good to call and check individual shop stock as the website indicates overall stock, but not for each individual store. Thanks for your questions. In some ways too it depends whether the X-C event is all on grass of if, as some courses do, some is run on hard packed trails. Thanks for your comment. 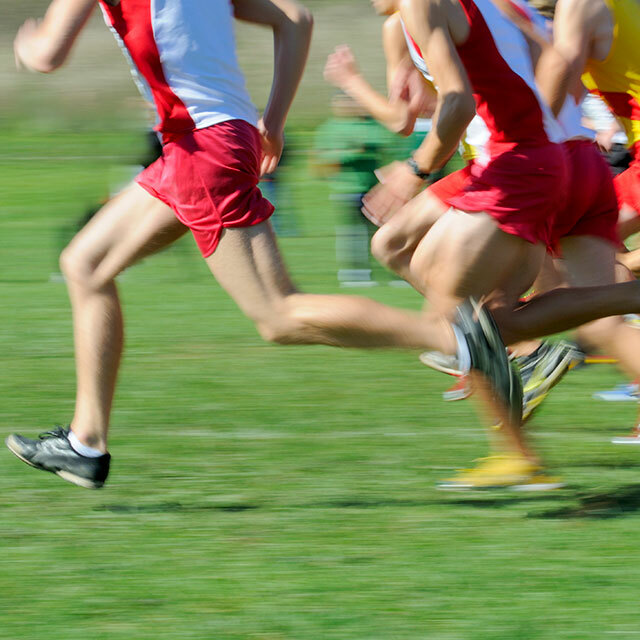 At school cross country, I remember too, that in my early cross country adventures we ran in very light gym shoes or plimsolls. Everyone wore the same and it was like a general all-round games shoe. On muddy routes, even though they were quite short, we certainly did slip around quite a lot. The better runners who went on to compete against other schools or joined a local club, then were encouraged to get something more technical with a bit of grip! It certainly helped to keep you upright! Good luck with any cross country adventures. Do you know whether it's worth purchasing a size up from my normal running shoe when buying XC spikes? Thanks for your note. Generally yes. It is good to size up with all spikes. They are sized a little smaller than training shoes. If you can get to one of our stores, you will be able to try a few sizes in different models to compare. If you are ordering online, I would go with a size bigger than your trainers. They can always be exchanged if necessary.